North Tyneside Council undertook a major three-year housing redevelopment programme which generated 924 much needed new and refurbished homes for the elderly. This £70 million project began in 2014 and saw completion in February this year. Space Architects was appointed to oversee the design of the homes and used specialist techniques and research to style the housing to meet the exacting needs of elderly residents. 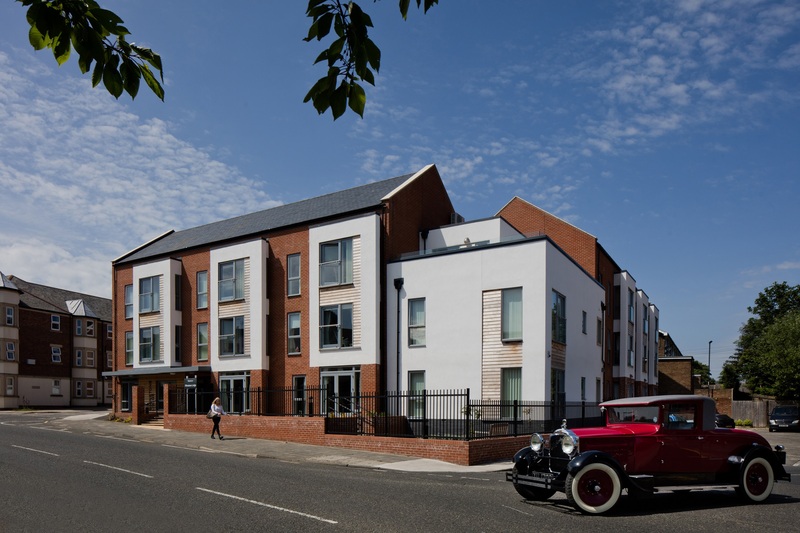 Having identified there was a shortage of fit-for-purpose sheltered housing supply in North Tyneside and that the existing sheltered housing was outdated and in need of modernisation, this pioneering new development was created to deliver 10 new-build and 16 refurbished housing schemes. The main objective of the project was to not only provide better quality homes, but to create desirable living spaces. Phil Jenson, PFI Procurement / Technical Manager at North Tyneside Council said: “Care for the elderly is a significant part of North Tyneside Councils remit and our commitment to this project has provided not only impressive new housing stock, but safe and secure homes for the elderly residents of our region for now and for the future”. A crucial part of the planning strategy, and a contributor to the unprecedented success of the project, was the importance given to the Stakeholder consultation. Liaising with residents, housing managers, relatives and development teams allowed North Tyneside Council and Space Architects to determine exactly what residents needed from their new homes. A substantial amount of research was carried out on the requirements of the elderly, for visual impairments, disabilities and other specific needs, to ensure the accommodation met exacting building regulations and standards such as the RNID standards, The Equality Act, Part M building regulations and BS8300. The housing schemes were also designed in consultation with Northumbria Police to reflect Secured by Design principles to maximise safety to residents. This revolutionary new development was not only designed to promote choice, health and well-being but with the aim of enabling the residents to remain independent in their homes for longer, so that their new environments will eliminate the need for specialist care. During the consultation periods, residents stated a clear preference for the properties to be designed and have the appearance of a hotel or apartment style, therefore soft internal finishes were applied. These were therefore cleverly integrated to compliment the need to accommodate wheelchair and disabled access and facilities. The inventive interior layouts also reflected dementia design guidelines, helping to further future proof the accommodation. Another major factor of the design, was to take into consideration the continual rise of heating costs. Space Architects was given a remit to ensure all building designs would be developed to assist in reduced energy usage, hence creating the opportunity to lower utility bills for the residents. By using advanced design and construction techniques, matched with the vital research on this project, Space Architects was able to achieve uniformly high standards of finishes and accreditation for all of the properties and the results are staggering. All of the new-build schemes achieved a BRREAM rating of ‘Excellent’ and all of the refurbished properties achieve a ‘Very Good’ standard. BRREAM is a method of assessing, rating and certifying the sustainability of buildings and as such through this project North Tyneside Council has achieve a 30% reduction of carbon emissions against its target for the year. Keith Handy, Associate Director for Space Architects commented on the design: “This was a challenging project with a big responsibility to make the living spaces perfectly matched to the needs of the residents. Their safety and comfort was always our main priority”. “By using 3D design and offsite construction delivery methods, this allowed us to minimise disruption to the sites and ensured those residents who were temporarily re-housed during the project, to return to their homes as quickly as possible”. This investment into housing in North Tyneside has resulted in the provision of high-quality sheltered housing, offering safe, spacious homes for the elderly of the region and a new, healthier living environment. With a growing elderly population, this Space Architect led collaboration with North Tyneside Council has delivered a pioneering development. Its forward thinking planning and execution is there for all to see and will aid not only the residents but all stakeholders. Phil Jenson at North Tyneside Council added: “This is an exceptional development, together with Space Architects we have created an exemplar model which we hope other Local Authorities will be able to follow”.